AMERICAN SON CONCLUDES! 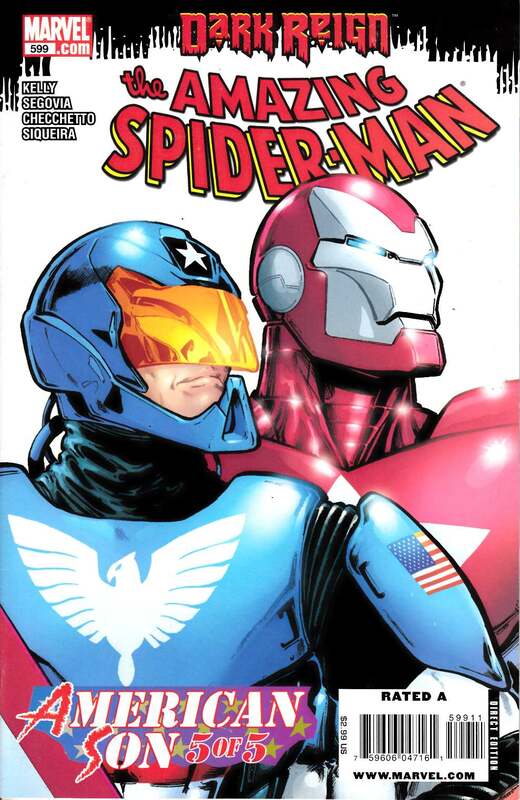 It's the ultimate battle between friend and family as Spidey's battle against the Iron Patriot and his Dark Avengers leaves one man with a choice too painful to contemplate. Plus, with wedding plans at high-fervor, Pete's identity stands revealed to the person who stands to be most changed by the information.